This one really spoke to me today because it just nails it! You know the saying, "treat others how you want to be treated," well in that same vain when you treat yourself with respect and dignity others treat you that way was well. 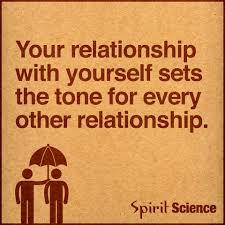 Similarly, when you have no respect for yourself, others mirror your behavior and have no respect for you!